NailMax Magazine, this is a special Collections edition of the magazine, but it also comes out on a monthly basis! The Japanese are worlds when it comes fashion/beauty print media. They have magazines specifically for hair, nails, makeup application, makeup reviews, fashion for moms, fashion for students, fashion for young professionals. These magazines are so specific and targeted that you would think concentrating their audience to a specific area would isolate their business, but instead, it creates a loyal following and readers invested into the magazine. The format of Japanese magazines are also so incredibly content rich and visually dense. Lucky Magazine was actually based off of Japanese shopping magazines. If you live close to a Japanese bookstore, I highly recommend going in and checking out some of their magazines. The way Japanese magazines are formatted you really can get by looking only at the pictures. 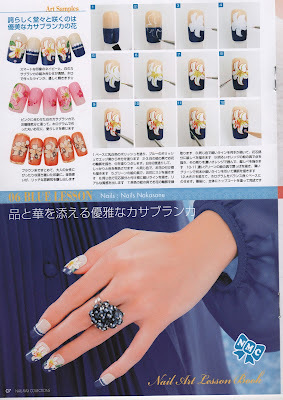 Here is one of my favorite issues of NailMax that I wanted to share with you. 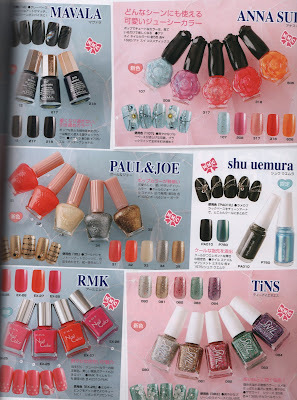 NailMax publishes Collection volumes annually with their best of collections. 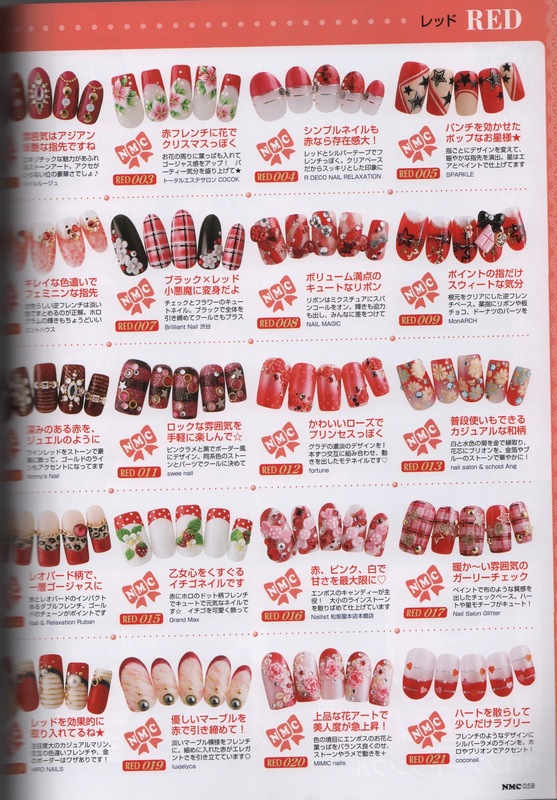 The pages are just filled with set after set of nail art. 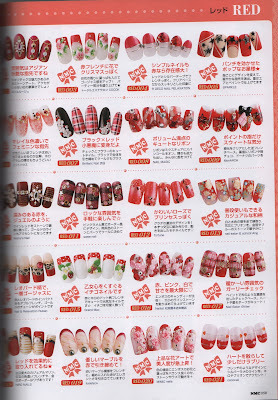 It's organized by color, so you can browse for hours at the intricate detail of each manicure. Or you can look through pages of products only available in Japan, and then scour Ebay for them. I torture myself looking at products available only in Japan. I love these helpful step-by-step how to's. Some red manicures. I love the one with strawberries. How inspiring are some of these! Would you try any of these manicures at home? Do you have a Japanese book store near you?